LOCATION: Conference Room, Faculty of Law, University Malaya, 50603 Kuala Lumpur. 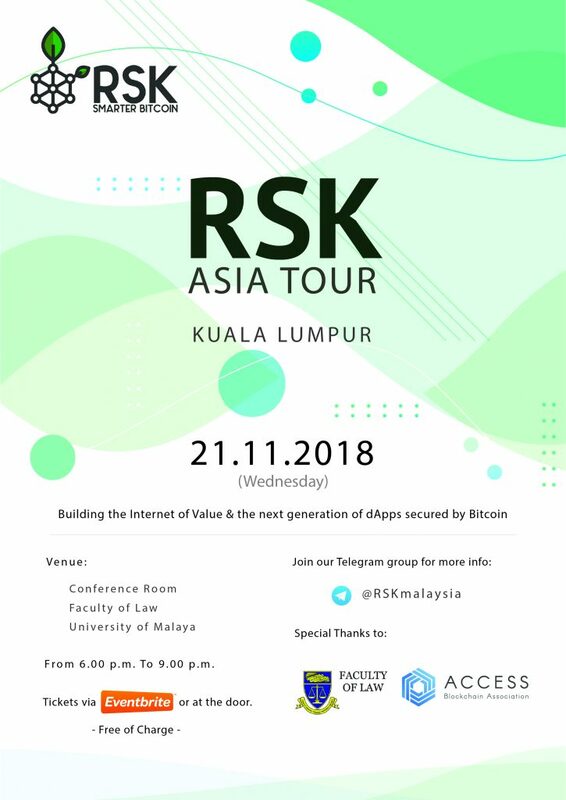 RSK Labs Ltd. (https://www.rsk.co) operates a platform that adds value to the bitcoin network by the implementation of new functionalities on sidechains. Formerly known as Rootstock. Bitcoin is a cryptocurrency powered by blockchain. Supported by Faculty of Law, University Malaya, and Access Blockchain Association of Malaysia (http://access-my.org).